There’s a good chance you’ve cruised past the Masa Harina in your local grocery store without realizing the potential you just left in your wake — but no more! From left to right: Maseca, Bob’s Red Mill, and Gold Mine. 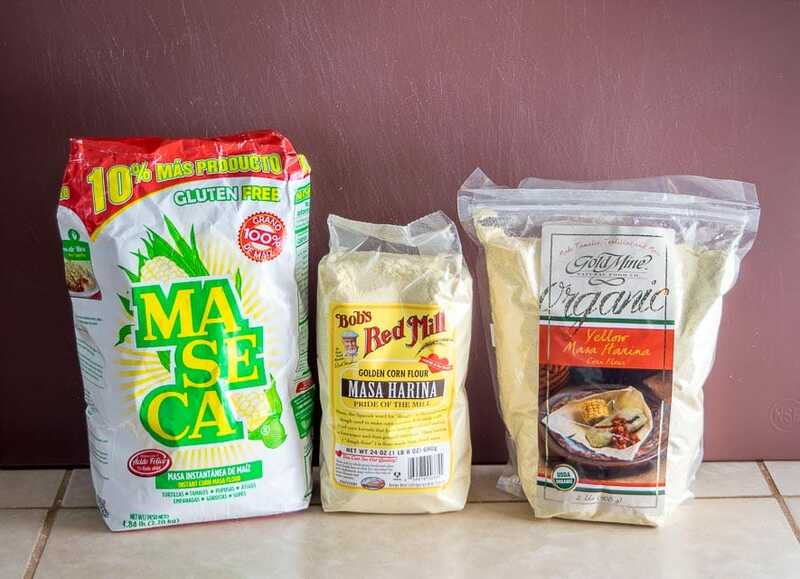 Maseca is by far the most common and it’s the Masa Harina that I started with — you’ll frequently find it in the Latin goods section of chain supermarkets. And soak it in an alkaline agent like calcium hydroxide. 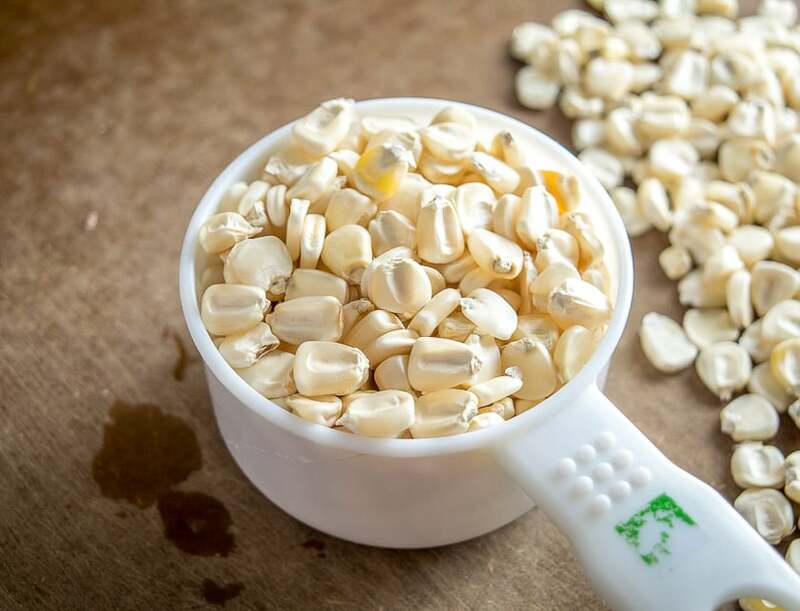 This will improve the nutritional content of the corn and make it easier to grind up — it will also make it taste better! After a good rinse you can grind it up and just like that you’ve got some masa dough on your hands. 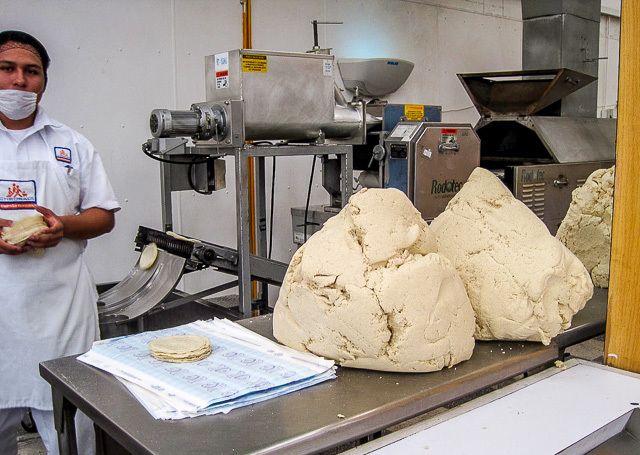 Producers will take this masa dough and dehydrate it, resulting in Masa Harina, sometimes referred to as corn flour. 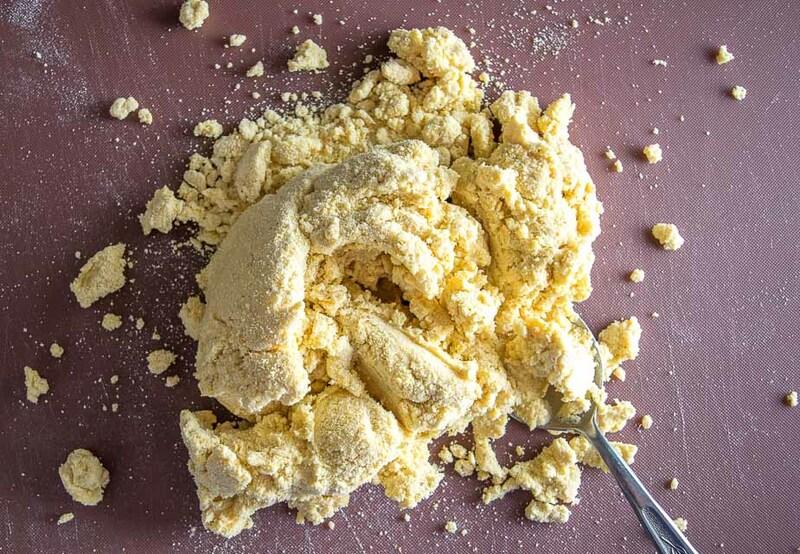 It’s a powdered version of masa dough and all you need to do is rehydrate the Masa Harina and you’ve got a quick batch of masa dough on your hands that you can use to make corn tortillas, tamales, gorditas, etc. So let’s do that and give some homemade corn tortillas a taste test using the different Masa Harinas. Stary by combining the Masa Harina and the salt. 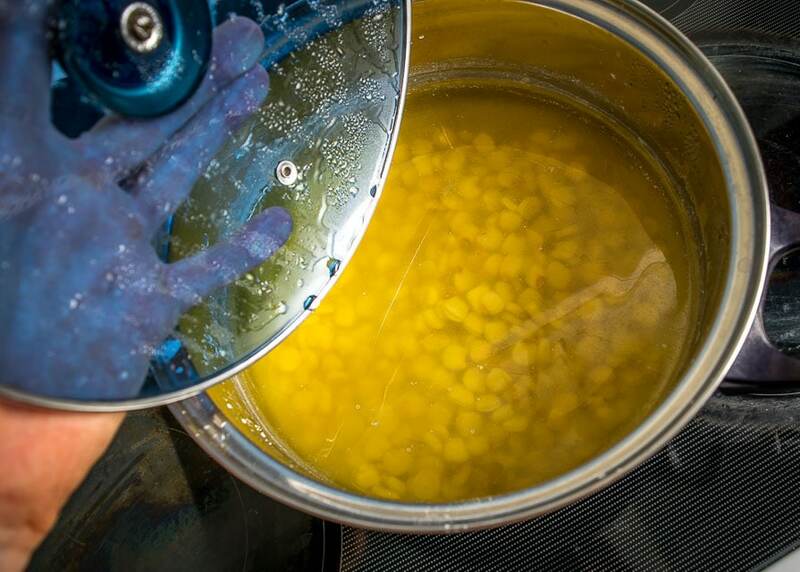 And now add only 1 cup of the water and combine as much you can with a spoon. I usually dump the mixture onto a work surface and add the rest of the water incrementally while kneading it into a cohesive ball. Sometimes it can take some fiddling to get the right consistency and that’s why it can be helpful to add the final bit of water incrementally. If the dough is crumbly and won’t form into a ball then you need more water. If the dough is wet and sticky then you’ve added too much water; simply add some additional Masa Harina to return it to a consistency that can be handled with no sticking. 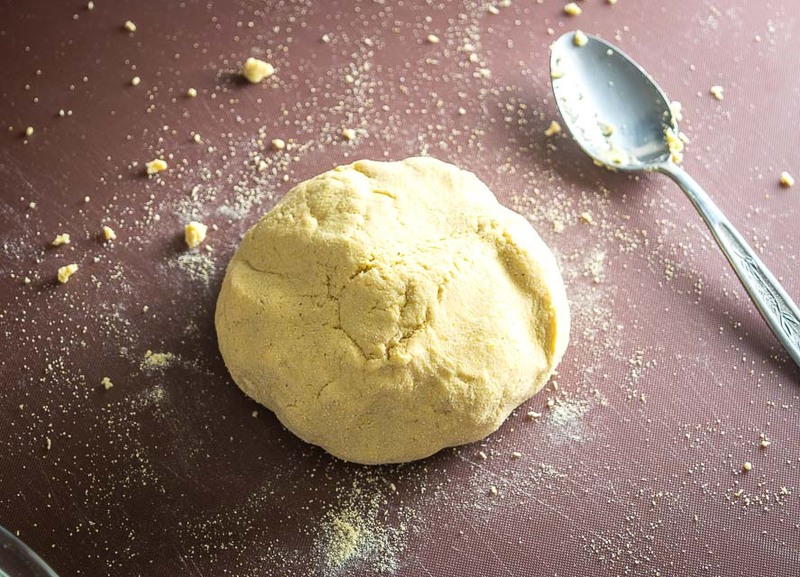 Eventually you’ll end up with a cohesive ball of masa dough — nice! I used to let this dough rest for an hour or so but I don’t worry much about that step anymore. Flour tortillas benefit from resting as it allows some of the gluten to relax, but I’m not convinced it’s necessary for corn tortillas. To prove that anyone can make corn tortillas at home we’ll be using a casserole dish to flatten the dough balls — no tortilla press needed! 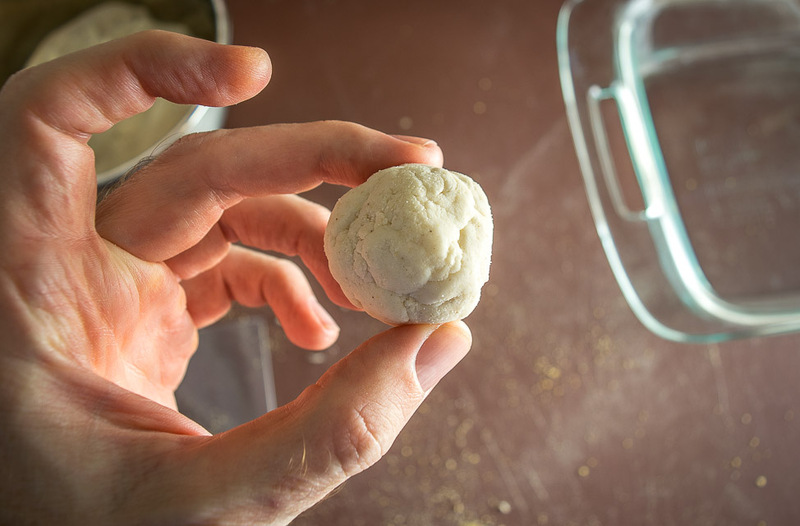 Pull off a golfball sized round of masa dough and roll it between your hands. 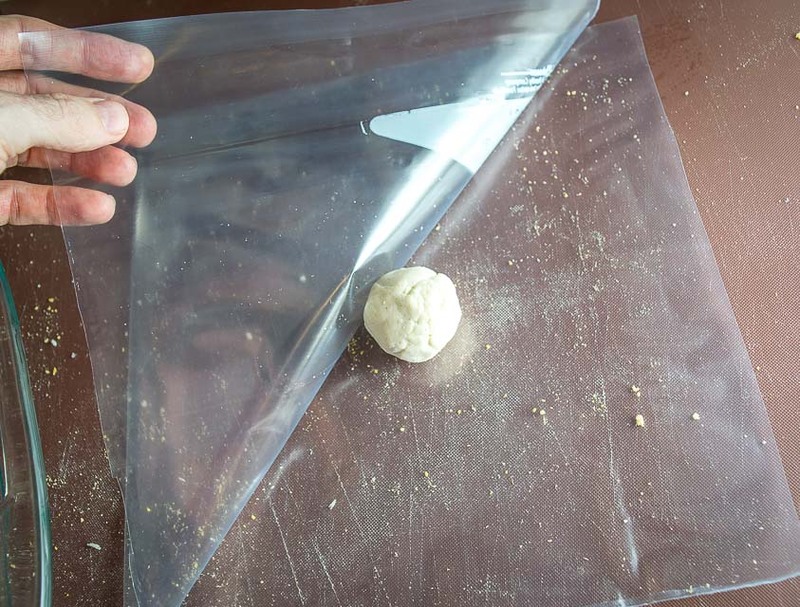 You’ll need plastic on either side of the dough ball to prevent sticking and I find it’s easiest to use a large Ziploc bag with the top cut off. Place the dough ball between the two sides of the Ziploc and smoosh it with a flat-bottomed casserole dish (or skillet). I like to make these super thin and that can be easiest if you’re using a dish, or skillet, that has a slightly convex bottom. 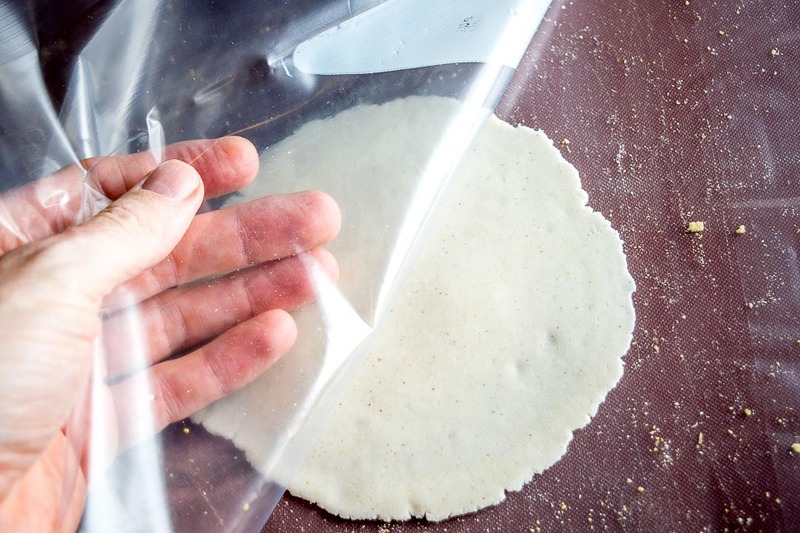 You’ll also know if the consistency of your dough is correct when you peel the plastic away. 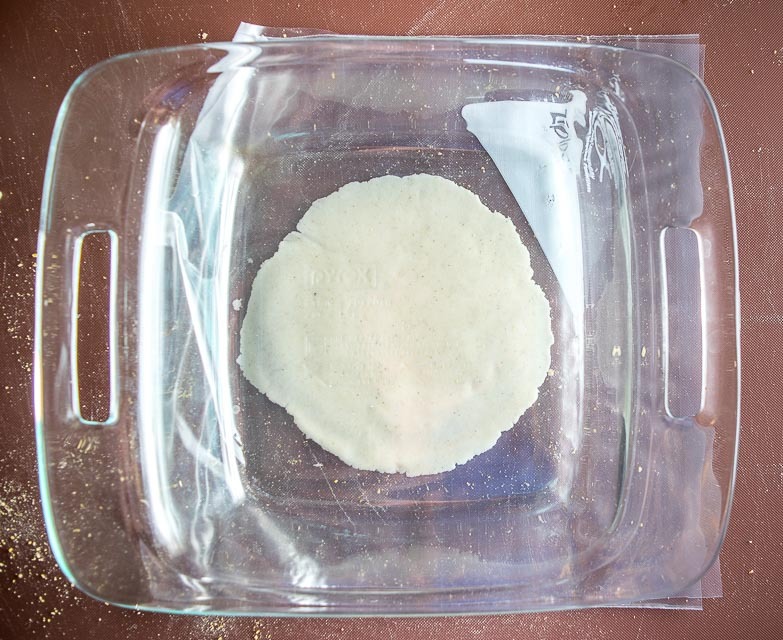 If the dough sticks to the plastic then it’s a bit too wet — simply incorporate a dusting of Masa Harina to the dough before pulling off another round. These will need approximately 60 seconds per side to fully cook in a dry skillet or comal. I put my stove at just over medium heat and this will have brown spots forming in about a minute. 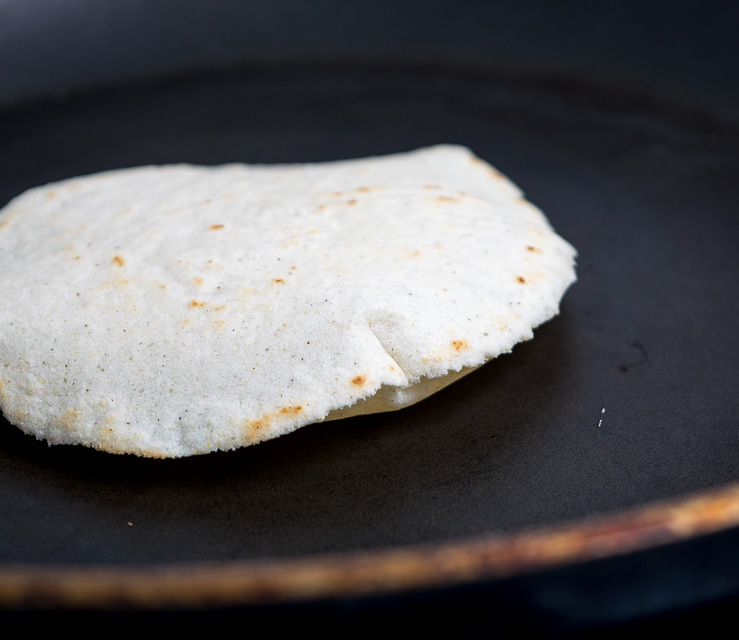 I usually use the quick flip method — add the tortilla to a non-stick pan and once it starts sliding around (5-10 seconds) give it a flip and then cook each side until light brown spots are forming, approx. 60 seconds per side. This quick flip will help seal in some heat and cook the insides quicker, it will sometimes even puff up the tortillas if they are thin. Note: I use a pan with sloped edges so I can just use my fingers to slide up the tortilla and give it the quick flip. And that’s homemade corn tortillas in a nutshell. Easy right? From left to right: Maseca, Bob’s Red Mill, Gold Mine. 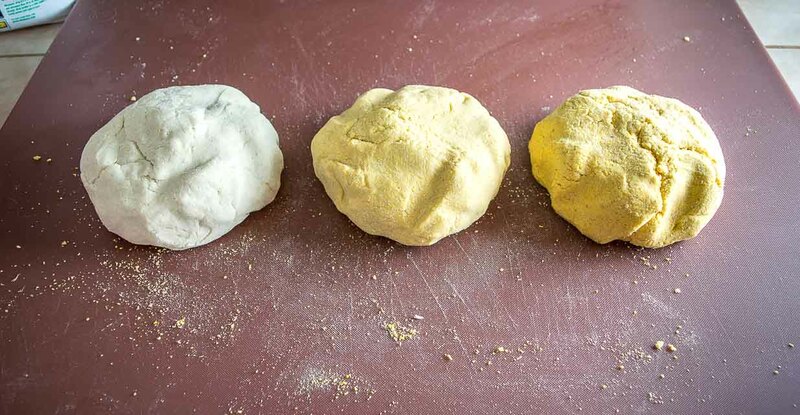 But don’t read into the color of the masa dough too much — most of these producers will produce both white and yellow corn flour. The yellow Masa Harina from Maseca is rare in my neck of the woods so I used white corn Maseca. And now the important part…taste testing corn tortillas made from the masa dough! 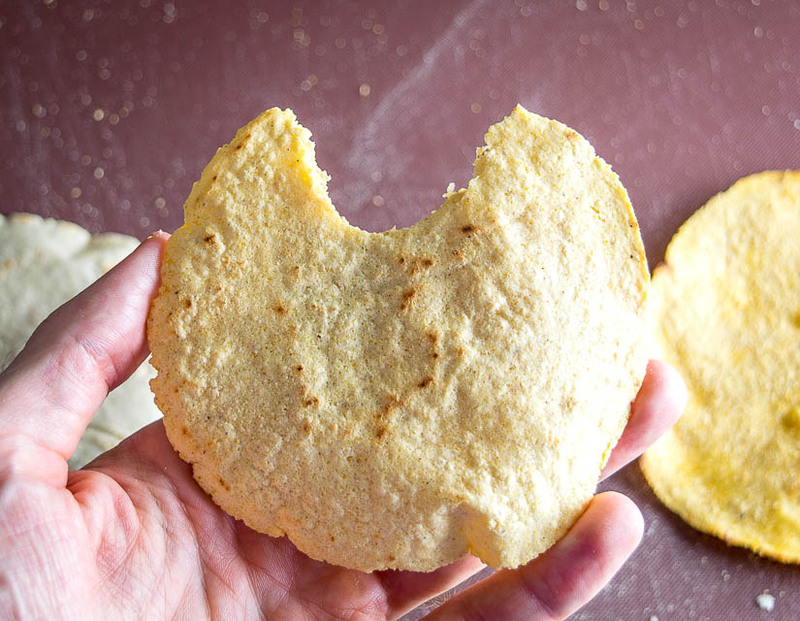 All three of these options will give you tortillas that are a step up from store-bought tortillas, but Bob’s Red Mill was the clear winner in this batch. It has a more savory and concentrated corn flavor and the tortillas made with Bob’s were super satisfying hot off the skillet. The tortillas made with Maseca and Gold Mine, while still tasty, seemed to have a milder flavor. I also had an easier time making the tortillas super thin using Bob’s Red Mill. 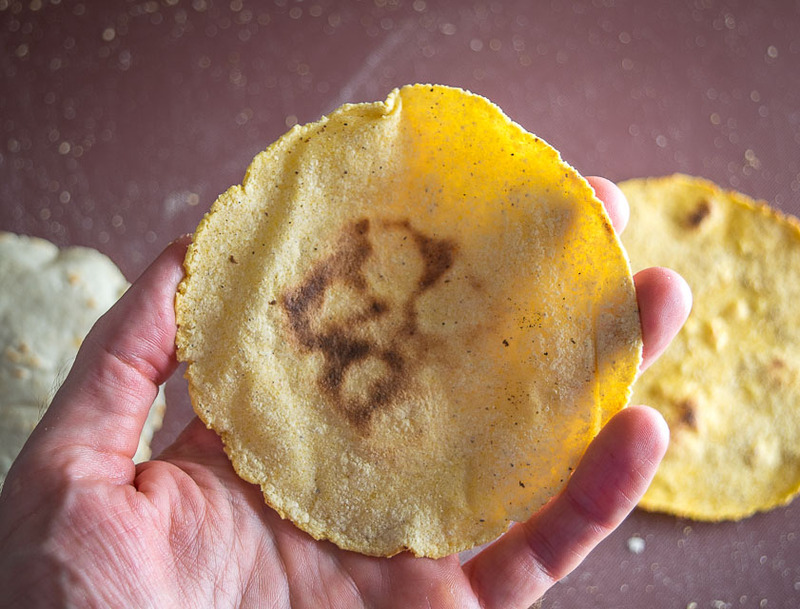 When you flatten the tortillas micro thin they will sometimes break apart when you pull the plastic off of them, but I found that this happened less often when using Bob’s Masa Harina — it just seemed to have a consistency that held together better. You might notice this right off the bat as the granules of Bob’s are a bit coarser out of the bag. Maseca is by far the best deal as it usually comes in 5 lb. bags for $6-10. Bob’s Red Mill was $4 in my local market for a 1.5 lb. bag. You’ll get about 12 tortillas from 2 cups of Masa Harina, and there are 6 cups of Masa Harina in a 1.5 lb. bag, i.e. 36 tortillas. So yes, even Bob’s which is the more expensive option comes in at $0.11 per tortilla — yes, 11 cents! And they taste better than store-bought tortillas. Tough beat to that combo eh? Okay, keep an eye out for these different Masa Harinas in your neighborhood. 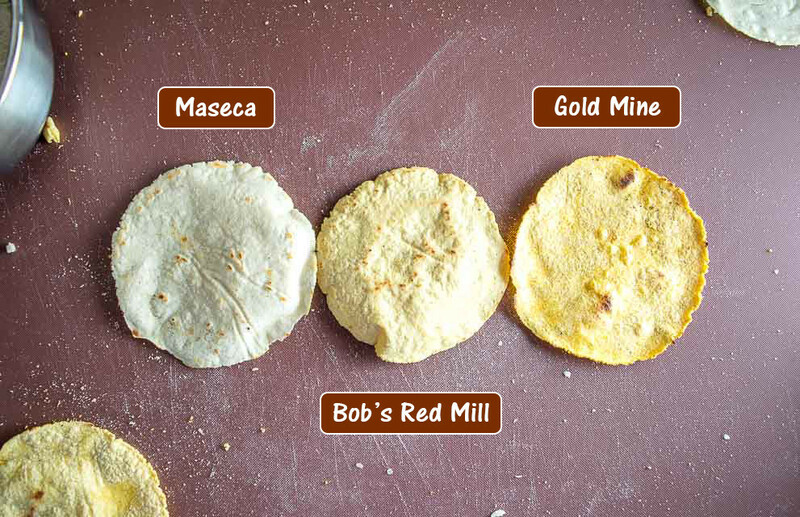 Yes, I will now choose Bob’s Red Mill first and that is a change for me, but Maseca and Gold Mine are still going to make some tasty tortillas in your home kitchen. And if you want more details on the masa world then I have a few more articles that will fill in the gaps. I’ve seen pro chefs use blue corn for tortillas. Are you familiar with any brands that offer that? Why do my tortillas look cracked and dry on one side as I’m cooking them and don’t puff up at all, yet the dough seems to be the right consistency and not dry at all? Hey Chris! Usually that means the heat is too low and they are cooking for too long. I usually put my heat just above medium and this will have light brown spots forming in about 60 seconds. Also keep in mind that thicker tortillas will take longer to cook — I tend to make them quite thin so they can cook quickly and puff up when you flip them. I hope that helps a bit — I know the first rounds of making homemade tortillas can be trying but I think it’s worth it in the long run to add them to your kitchen arsenal. Cheers. I made some of the tortillas using a corn flour that I had on hand which I’ve used in the past to make arepas (more of a south American food, I think). It’s called P.A.N. and the bag lists the product as “Harina de Maiz” or “corn flour”. Is this the same product as the “Masa Harina”? If not, what is the difference between the two? Hey Deborah! That PAN flour is essentially cornmeal, ie the corn hasn’t gone through the nixtamalization process so it’s going to have a different nutritional profile and flavor than masa harina. 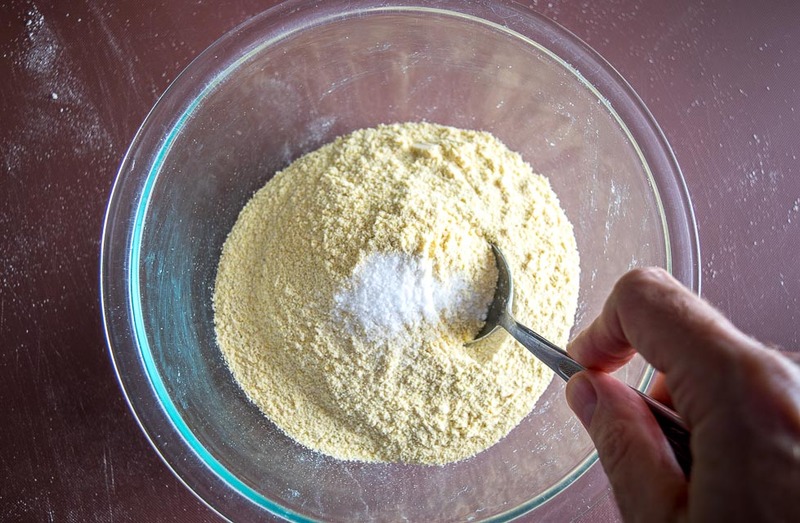 Here’s an article on the site that explains the difference between cornmeal and masa harina. Cheers. Thank you for this post… I would have guessed incorrectly that the organic one would taste more authentic! 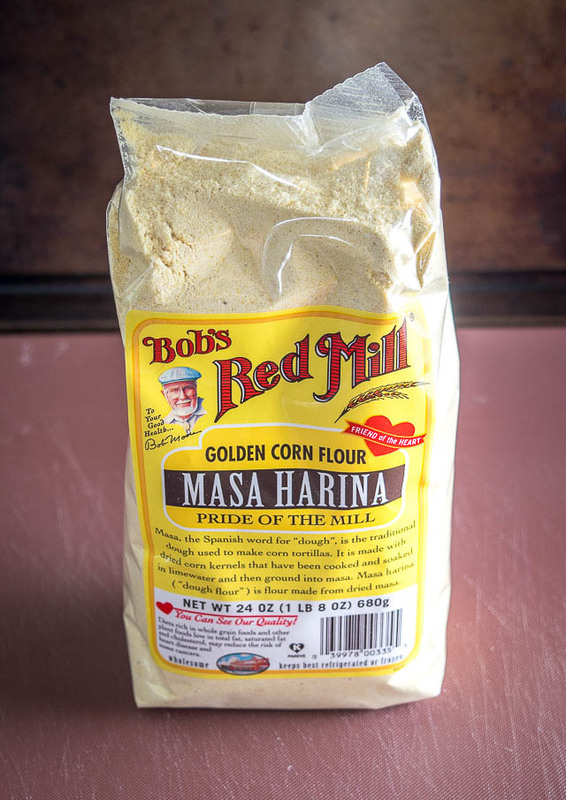 I love bob’s red mill products and purchase their masa harina to use as a thickening ingredient to chili and other dishes, love the idea of making my own tortillas and will try again after reading your post! Since you are so well versed in mexican culinary, I’d like to ask if you have ever attempted puffy tacos aka san antonio style? I dream about being able to recreate them in my own kitchen!! Thanks Sharon! Hmmm I’ve had puffy tacos on my recipe to-do list for a while now but haven’t gotten around to them yet, will keep them in mind though. Cheers. Wow, what an informative and yet simple to understand website. I have truly enjoyed going through on a cursory tour (for now) and finding the information posted here. Thank you brother for the effort to share this experience. I am just wading into the Latin cuisine and this site is going to be my springboard. Personal note: More than….a long time ago a woman named Cutty was my neighbor. The family was spanish. She happened to be making tortillas (from scratch) and was cooking them in butter. The first one off the skillet was offered to me since I had yet to taste any of her cooking though I was her son’s best friend. Thanks A.L., I hope you find some keeper recipes on the site! Feel free to get in touch if you have any questions along the way. Cheers. I am surprised that your best choice was Bob’s Red Mill. I tried that brand looking for a richer flavor but the tortillas tasted like cardboard! Not to mention that the texture was horrible. I will stick to Maseca, that is the closest to the taste of a real tortilla made in Mexico.